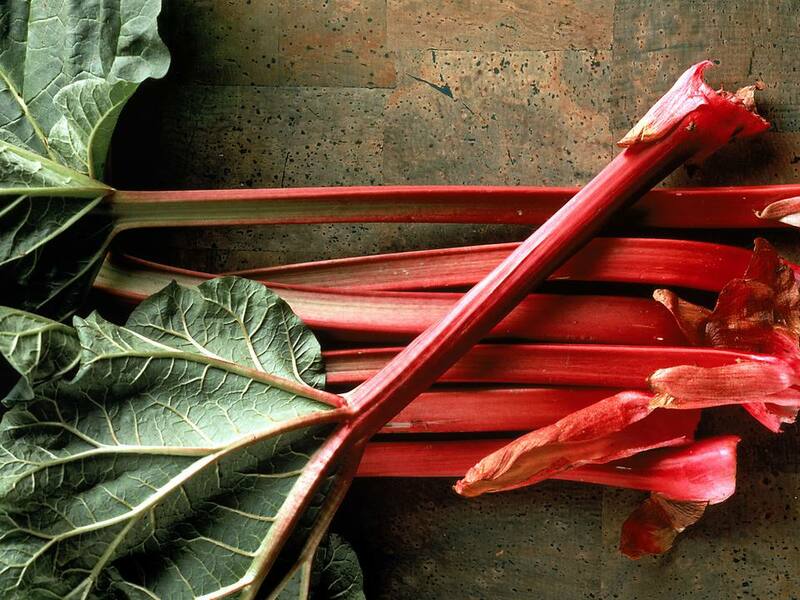 When buying fresh rhubarb, look for moderately-thin, crisp, dark pink to red stalks. Greener, thicker stalks are stringier, coarser, and more sour. The leaves should be unwilted and free of blemishes. Avoid any that is wilted, pithy, stringy or rough-textures. The hothouse rhubarb variety is normally available year-round, while peak season for field-grown rhubarb is April to June. Plan on one pound of rhubarb to equal 3 cups of raw, sliced rhubarb. Fresh rhubarb is quite perishable. Place the stalks in a plastic bag to retain moisture and store for 3 to 5 days in the refrigerator crisper drawer. To freeze, cut the rhubarb stalks into 1-inch chunks and seal in an airtight bag. Frozen rhubarb will keep up to a year at 0 degrees F.
Rhubarb is also easily canned.